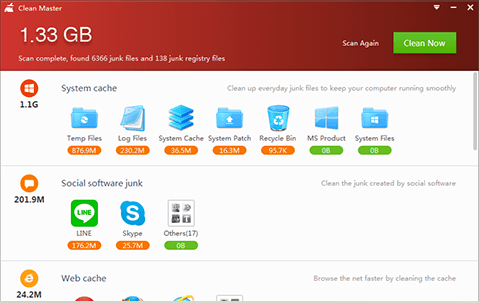 Clean Master for Mac and Windows, Clean Master from cheetah mobile is a popular way to speed up your Android smartphone, The clean master phone boost is similar to CCleaner app which scans and removes unwanted files and optimizes your smartphone for better performance. The memory booster app also has a Device Cooler feature that scans and stop the apps which are causing your phone to get overheated. The app also comes integrated with antivirus security that scans your device for possible threats, spyware and viruses. Cheetah mobile has recently released a PC version of Clean Master and it includes features a easy to use interface, one tap cleaning and advanced antivirus security. 2. After installing the emulator you can search for "Clean Master" and install the app and if the app isn't available you can download Clean master APK and open it using the emulator.